Kidwise Outdoor Products, Inc. is all about kids and bringing them the best in outdoor play. We strive to promote safe play for kids of all ages through outside activities. Our line of products includes commercial swing sets, residential swing sets, trampolines, water trampolines, inflatable bounce houses and inflatable water slides, bikes, sport goals and many other items to choose from in our ever expanding lineup. 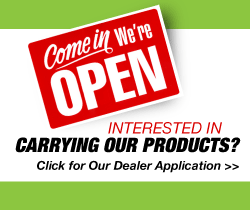 Our goal is to provide “Everything a kid wants” with affordable pricing and predictable costs to our dealers and merchants in turn passing that savings on to our end customer. Our goal is 100% satisfaction from our customers. We continue to grow thanks to your support and loyalty. Our product lines will continue to focus on kid friendly items that are fun to play with and stimulate balance and a healthy lifestyle for our kids. 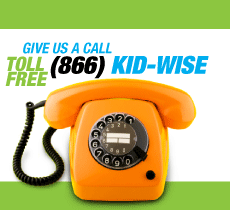 Our toll free line (866) KID-WISE is open to consumers for questions and comments; we welcome your feedback and thank you for your patronage. Every product we sell has a manufacturers warranty against defects and workmanship. The duration of this warranty depends on the type of product. All items are covered for 30 days unless noted under that product. 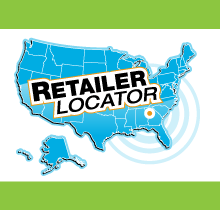 For Example: Includes 10 Year warranty on Lumber and 1 year on all accessories. This will be clearly noted under the product descriptions. In situations where abuse, misuse, neglect or unapproved uses are present the warranty will be invalid. Please follow the appropriate use, number of users and instructions at all times. Example: An item designated for residential Home use cannot be used for commercial, rental, or public use. Any damages resulting would not be covered under the manufacturers warranty or by kidStores.com or any of its subsidiaries. 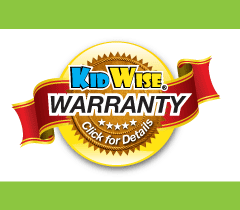 If you have a warranty claim or problem, please email service [at] kidwiseusa.com (Please replace [at] with @ symbol) with your name, date of purchase and invoice number, contact information, and a description of the problem. If you can attach an image of the issue that will help to expedite your claim quickly. Some issues are very simple to solve so the more information you give us the easier it will be to seamlessly help you through your problem.